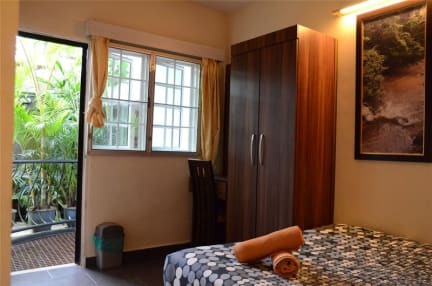 Our cozy Bed & Breakfast has been created to provide a homely, clean, modern and affordable accommodation for the traveler; who seeks a cool getaway from the tropical heat of the lowlands. At Gerards Place, we pride ourselves on the quality of our friendly services as we want you to have a happy and rewarding experience. 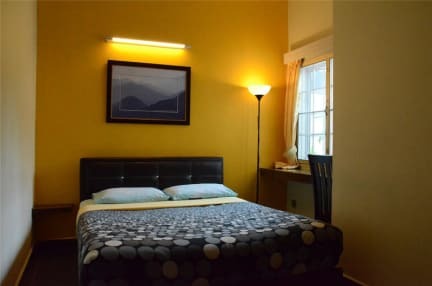 Our place consists of 8 tidy rooms. All our rooms are equipped with thick premium mattresses, pillows and plush blankets to keep you warm on cool nights.Rooms offer free WiFi and ceiling fans. We are always happy to organize eco friendly nature & sightseeing tours, walking tours, mini bus transfers to Taman Negara and Perhentian Islands, bus tickets and room bookings in other destinations. You can enjoy free wifi connection in common areas and rooms so you can connect to the outside world. Please take note that the internet connection isn't always constant. Plus, Cheap Laundry nearby : RM 7.00 for 3kgs. 3. Our Reception is open 12.00noon – 8.00pm. If you planning come earlier / later, no problem at all - just let us know in advance. 5. Cancellation policy: At least 72 hours before arrival. 6. Please note: that this is a non-smoking Hostel/Guest House and strictly No Pets allowed. 7.Age restriction: not suitable for elderly people, as they will have to walk up and down flight of stairs. Additional Note: A Tourist Tax of 10MYR per night per room is implemented by the Royal Malaysian Customs Department for foreign guests. Guests with valid Malaysian ID Card (MyKAD) are exempted. If you are planning to do a tour or a hike/walk in the Cameron Highlands; please seek advice at our reception when you check in. Wonderful guesthouse. 3 rooms share a living room. I loved to sit on the balcony and listen to the birds singing. Nice staff, located a bit up the hill but with an amazing view. A great place to stay! The guest house is run with love and care and you can almost feel like home. Especially the living room and the balcony with the stunning view are amazing. The owner Jay was incredibly welcoming and helpful, she even gave us a ride to a local teahouse. We also booked a guided tour via Gerard's place, which we can absolutely recommend! Ask for Satu, he's an outstanding guide. Thanks to all this, the Camerons became an absolute highlight on our trip through Malaysia. Die Mitarbeiter waren sehr zuvorkommend und hilfsbereit. Die Unterkunft war in einem sehr guten Zustand, es gibt einen Gemeinschaftsraum mit kleiner Teeküche, die Zimmer und das Bad waren sehr sauber. Eine sehr angenehme Unterkunft. Bad WiFi, but this seems to be a common problem in Cameron Highlands. Except from that a really nice and quiet place with great staff! Good place to stay for the essential things at Cameron Highlands. Very friendly and helpful staff. Tours and scooters can be booked at Gerard's. We booked the car tour which was pretty cool and the better choice, since it rained all day pretty heavy (we were told we were unlucky, usually it only rains in the afternoon in June). Positiv: absolut hilfsbereite, kompetente und freundliche Mitarbeiter. Haben uns Touren und Rückreise organisiert. Waren für alle Fragen offen. Badezimmer waren sauber. Netter Außenbereich. Negativ: Fußweg vom Busbahnhof etwa 15 Minuten und leicht bergauf. Dafür sehr ruhige Lage! Ein sehr schönes kleines Guesthouse mit sehr freundlichen und hilfsbereiten Personal.Die Zimmer waren sauber und das Frühstück (Toast und Marmelade ) war ausreichend.Kann ich nur weiter empfehlen. The room and thus our clothes felt moist the whole time we were there, even with open window. The shared bathrooms did not supply any soap nor towels. The basic breakfast consists of toast with butter and marmelade, but a fridge and freezer are available for own breakfast. The staff was very helpful and recommended and booked the superb mossy forest tour for us and dropped us at the bus station for departure.